Write Bloody Publishing, 9781938912207, 180pp. 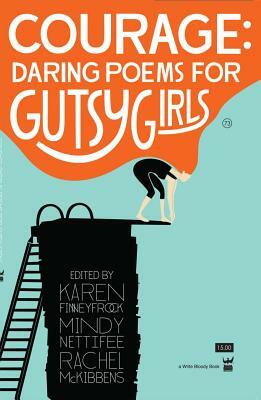 A collection of fierce, empowering poems by living, self-identified women writers intended for girls age 12-21. Full of advice, critique, reflection, commiseration, humor, sorrow and rage, this anthology includes poems by some of the most exciting female poets writing and performing today. Courage; Daring Poems for Gutsy Girls will live in lockers, backpacks and under beds for years, its pages reblogged, tattooed, dog-eared and coffee stained.